ABOUT POMONA COLLEGE: Located near Los Angeles, California, Pomona College is widely regarded as one of the nation's premier liberal arts colleges. Established in 1887, Pomona College is known for small classes, a challenging curriculum, close relationships between students and faculty, and a range of student research and leadership opportunities. Pomona is a member of The Claremont Colleges. POSITION SUMMARY: Pomona College is seeking a Director of Investments to perform key functions related to the management of the College’s investment portfolios and investment office functions. The Director responsible for a broad range of investment analysis, reporting and operations. This position reports to the Chief Investment Officer. Assist with the management of the College’s investable assets; including the Pooled Investment Fund, separate endowments, deferred giving assets, bond proceeds, short-term operating and capital reserves. Oversee investment management of the College’s deferred giving assets and liabilities, particularly trusts and annuities. Develop and maintain investment reports on the College’s deferred giving assets. Perform periodic reviews of the College’s investment decision making. Work with the CIO and the College’s investment consultant(s) to perform regular analyses on the Pooled Investment Fund including analysis on asset allocation, portfolio risk and return, potential new manager inclusion, portfolio structuring, portfolio attribution, manager compliance with restricted list screens, and existing or potential portfolio tilts. Work with the CIO to manage risk within the portfolio within the boundaries established by the Investments Committee. Assist with the creation and ongoing maintenance of investment performance and other informational reports. Provide oversight and analysis of the tracking and modeling of cash flow activity from the College’s private investment portfolio. Manage reporting to external organizations for endowment surveys and other external reports. Contribute to developing investment strategy and priorities to maintain alignment and integration with the College’s capital structure, liquidity needs, policies, mission, and strategic goals. QUALIFICATIONS: Strong academic credentials are required; an MBA/CFA or other advanced degree is highly preferred. Five to ten years of related finance and investment work experience in positions of increasing responsibility is required. Endowment management experience in a higher education setting is desired. Knowledge and competence in major aspects of accounting, finance, and investments is required. Ability to plan, develop, organize, implement, direct and evaluate the organization’s fiscal function and performance, including evaluating and advising on the impact of long range planning, management of debt, growth of assets, and introduction of new programs/strategies. Must have a high degree of professional discretion, integrity, good judgment, high standards of professional conduct, and the ability to establish credibility throughout the College. Ability to make difficult, timely, and financially responsible decisions. REQUIRED HOURS: The regular hours for this full time position are 8:00 a.m. to 5:00 p.m., Monday – Friday. Holiday, weekend and evening work hours may be required. Regular hours may vary due to needs of the College or division. ADDITIONAL POSITION DETAILS: Regular, full-time, exempt. TO APPLY: Please apply online at pomona.edu/staffjobs. 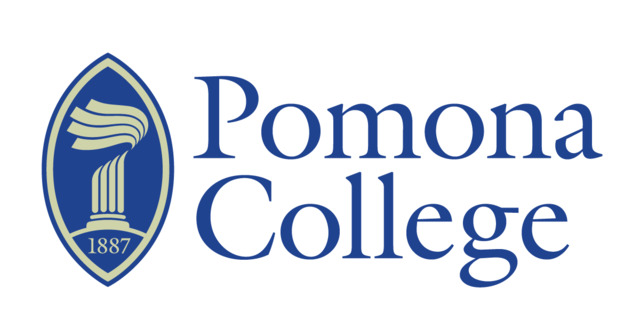 POMONA COLLEGE REWARDS: Pomona College offers a wide variety of benefits and perks including health, dental, and vision plan options; paid time off; flexible spending accounts; retirement benefits; tuition assistance; fitness and wellness programs; rideshare incentives; and so much more! Pomona College prides itself in being an open, competitive, and equal opportunity employer.